The one thing that you can be certain about in life is that the bills will always be waiting for you pay them. 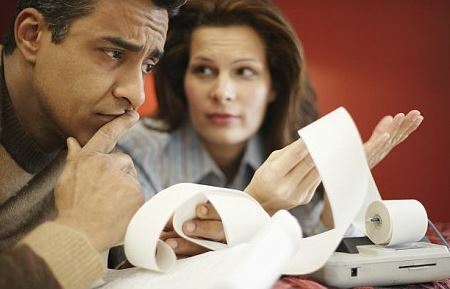 When you are dealing with tough economic times, it may be stressful to think about how you will pay those bills. Here are some suggestions to help you pay those bills without causing you a lot of stress. If you have bills, you need to create a budget that accounts for those bills. When you know how much you need to pay each month, you know how much you need to make each month. This helps you find a second income if you need it or ask for more hours or a raise at your current job. A friend or family member may be able to give you a long or short-term loan to help you get by for a couple of weeks or months at a time. If you don’t have any family or friends to turn to, you can use a payday lender or another lender. Experts at Power Finance of El Paso have experienced that oftentimes, borrowing from a payday lender is a better solution than borrowing from family. We all know that money can cause issues within a family, so if you do borrow from relatives, be sure it is the best option. There are ways that you can reduce the amount of your monthly payments for months or years at a time. If you have student loans, you can use a graduated repayment plan or an income based repayment plan to lower your payment to an acceptable level. Consolidating or refinancing your mortgage or auto loan can help lower your monthly payment and make it easier to pay your loan. Whenever you are having trouble paying your bills, the first phone call that you make should be to your creditors. It is possible to have portions of your debt forgiven or have your entire debt settled in one payment. In the event that you lose your job and won’t have a steady income for a few months, a debt settlement can help you get rid of your debts entirely. There is nothing worse than not being able to pay your bills. If you are having trouble keeping up with your car or house payment, you have options available to you to help you with your money problems. Whenever you are lacking money to pay your bills, you should know that you can turn to your friends, family members or a payday lender to get you the money you need to get by.